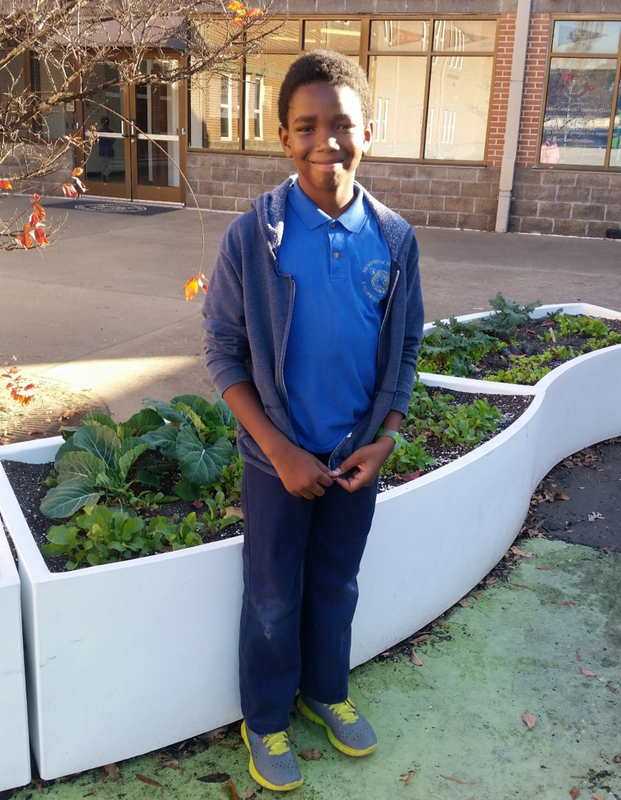 The superstar of Caldwell-Guthrie’s Learning Garden was a young man named Laterius, a fifth grade student at the school who was the main person in change of watering and taking care of the garden during their fall season. 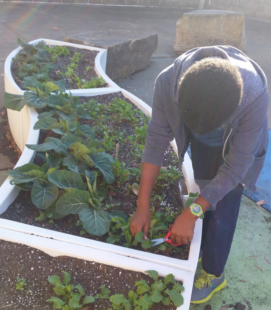 Laterius harvested some arugula, and helped the kindergarteners harvest a half of a pound of kale and a pound of collard greens. 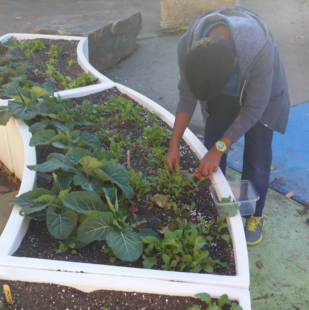 Thanks to the hard work and dedication from this amazing young man, Caldwell-Guthrie’s Learning Garden continues to grow and had a very productive fall season! 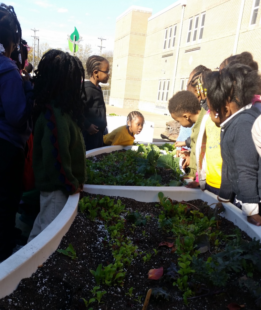 Tomatosphere: These Seeds Are Out of This World!